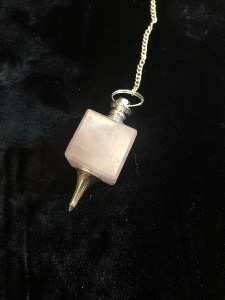 A beautiful Rose Quartz and Metal Pendulum consisting of a Cube of Rose Quartz capped with a metal finial and finished with a metal point to the base. Complete with chain and Quartz stopper bead. 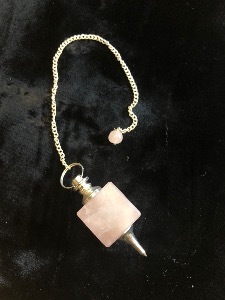 This Pendulum is perfect for dowsing or any other metaphysical use. 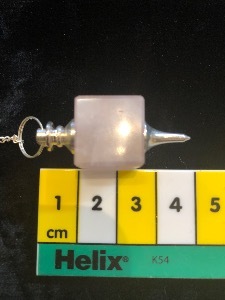 The Pendulum itself is approx 4cm long and the chain is 15cm including bead.